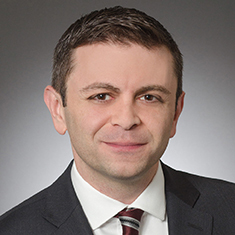 Gavin Scotti is an associate in the Real Estate practice. He concentrates his practice in the areas of real estate finance, leasing and development. Prior to joining Katten, Gavin was an attorney in the Law Department – Real Estate and Economic Development division of the New York City Housing Authority (NYCHA), where he negotiated development agreements in connection with land dispositions, as well as commercial and community facility leases at numerous housing developments throughout New York City. Shown below is a selection of Gavin’s engagements.